In what has been a rather sad start to 2016 with the deaths of Natalie Cole and Nicholas Caldwell of The Whispers, we’re sorry to bring you the news that the great soul man Otis Clay has passed away at age 73. For soul music fans 2016 has been a bit depressing, and we’re only ten days into it. Over New Year it was announced Natalie Cole had passed away on New Years Eve at the age of 65, and then a few days later the news broke that founding member of The Whispers Nicholas Caldwell had died rather tragically after his pace-maker malfunctioned. Sadly now it is with great shock that Otis Clay, a stalwart of R&B, soul and blues for over fifty years, has passed away unexpectedly at 73. While Clay may never have achieved the fame and fortune of some of his contemporaries, he was nonetheless a singer and performer of immense talent, possessing a powerful gospel voice, perfectly suited for the gritty soul of the South. Born in 1942 in Mississippi, Clay grew up like many other black singers by singing gospel in Church. He performed with several local gospel groups, before relocating to the Windy City in 1957 where he continued to sing gospel. Like many other acts of the day, Clay made the switch to secular music, signing with One-derful! Records in Chicago in 1965, where he had his first hit ‘That’s How It Is (When You’re In Love)‘. Atlantic Records bought Clay’s contract in 1968, but it was his signing with Hi Records in 1971 that saw Clay grow as an artist. It would be at Hi Records that Willie Mitchell. Mitchell produced Clay on the 1972 hit ‘Trying To Live My Life Without You’, a fabulous song on which Clay shines. Yet for Clay commercial success would largely evade him, and his time at Hi Records would be somewhat overshadowed by his band-mates Al Green and Ann Peebles. Clay remained a world-renowned singer, popular in Europe and Japan, releasing a tasty live album in Japan. He would continue to record as well, including with Willie Mitchell, on This Time Around. Outside of music Clay built a reputation as a civic leader, serving on community boards on Chicago’s West Side, as well as being Chairman of the non-profit Tobacco Road, Inc that developed The Harold Washington Cultural Centre, part of the redevelopment of the Bronzeville neighbourhood in Chicago. His dedication to the Windy City coupled with his energetic live performances would make in a legend in the city, a status deservingly earned. In recent years Clay recorded a gospel album Walk A Mile In My Shoes earning him a Grammy nomination, plus a live album, and his last solo work Truth Is. In 2014 he recorded an album with Johnny Rawls called Soul Brothers, and only this last year released an album with Billy Price entitled This Time For Real. Indeed, Clay’s career had been going through a period of renaissance in recent years, and it’s a devastating blow to anyone who truly loves soul music, and he will undoubtedly be missed by many fans around the world. In his honour, we’ve picked some of our favourite Otis Clay moments. For us, this is Otis Clay’s finest recording. Produced by Willie Mitchell at his iconic Royal Studios in Memphis, it has all the hallmarks of the seventies southern soul sound: tight drums and rhythm, punchy horns, and a gritty soulful vocal. The raw power and emotion that Clay lays onto the track is astounding. As part of the Take Me To The River documentary on soul music in 2014 Clay revisited the song nearly forty years later, and still sounded as great as ever. The song paired Clay up with the seven-year old rapper P-Nut, and it’s quite sweet to see Clay nurturing and encouraging the young man’s talent. Taken from the Trying To Live My Life Without You album, this song is a quintessential heartbreak song from Clay. It’s another top production from Mitchell, who rather cleverly adds in a string arrangement. The song mixes soul and blues in equal measure, creating one of the most heart-achingly beautiful songs recorded by a soul artist. By 1977 Hi Records was predominantly focused on the careers of Al Green and Ann Peebles, leaving Otis Clay somewhat out in the cold. Yet while commercial success evaded him, critical success was heaped on his album I Can’t Take It and has since been re-discovered as a brilliant LP. The album is largely in the mould of Trying To Live My Life Without You, which in this case is no bad thing. This song is one of several standouts from this excellent album. The production is stunning, the arrangements are delightful, and, as ever, Clay is magnificent, pleading with the woman in the songs to keep loving him. It’s quite simply a beautiful song. Clay was not just a brilliant studio singer, he was also a dynamic performer who had honed his live performances over a lifetime, built on his upbringing of performing in the Church. In 1983 he released Soul Man: Live in Japan and its one of the most under-appreciated live soul albums of all time. The album ends on a twelve minute version of Al Green’s Love & Happiness, with a snippet of the Sam & Dave favourite Soul Man, recently made famous again by The Blues Brothers’ Dan Ackroyd and John Belushi. Clay gives Al Green a run for his money with his version, which would remain a staple of his live sets throughout his career. In 1998 Clay reunited with Willie Mitchell to produce the surprise hit album This Time Around. In particular, the album’s opener is a real treat. Although by now computers and machines were replacing musicians in the studio Mitchell maintained the use of real musicianship before it was cool to do so. Once again, Clay is stunning vocal, aided by a really good song with an infectiously catchy chorus. This is one of our favourites, but sadly YouTube nor similar has the studio version – but they do have the live version taken from the album In The House. 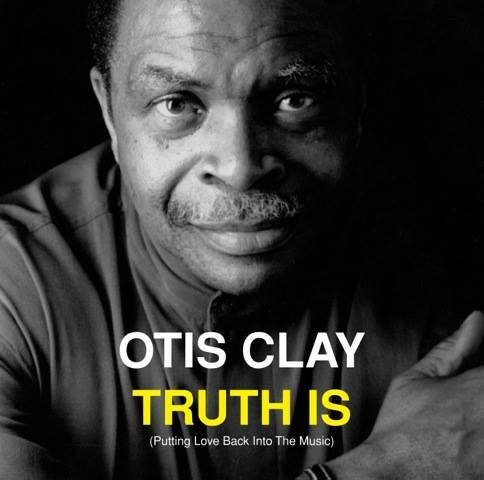 In 2012 Clay teamed up with the legendary blues pianist Pinetops Perkins, who was by now in his nineties, to record the jazz-standard ‘Since I Fell For You’. Perkins lost none of his incredible playing ability before he passed away, and its interesting to hear a blues take on a jazz song; the jazz remains, but Clay’s blues vocal gives the song a new appeal. This for us really caught our attention, and introduced us to Otis Clay. The Bo-Keys were a set of musicians put together by bassist Scott Bomar, who worked at the Stax Academy of Music. He combined legendary musicians such as Charles ‘Skip’ Pitts (famous for his wah-wah guitar on ‘Theme From Shaft’), drummer Harold Grimes, and Otis Redding’s trumpeter Ben Cauley. The group initially recorded an album entitled the Royal Sessions, an album of instruments in 2003, but for their follow up in 2011 added in an array of guest vocalists, including William Bell, Percy Wiggins and Otis Clay. Clay was given the up-tempo stomper ‘Got To Get Back (To My Baby)’ to sing, and it’s a performance of a lifetime that he delivers. Taken from Clay’s last solo album, this song proves that artists of Clay’s generation need not chase the latest musical trends to keep themselves relevant. Clay stuck to what he knew on the album Truth Is, and it pays off. ‘Love’s After Me’ is a particular strong highlight of this tasty release. When you think about it, Jimmy Ruffin’s classic ‘What Becomes of A Broken Hearted’ is a perfect song for Clay to cover. Here, on the Soul Brothers album with Johnny Rawls, what could have turned out to be simply some album filler turns out to be one of the album’s highlights. 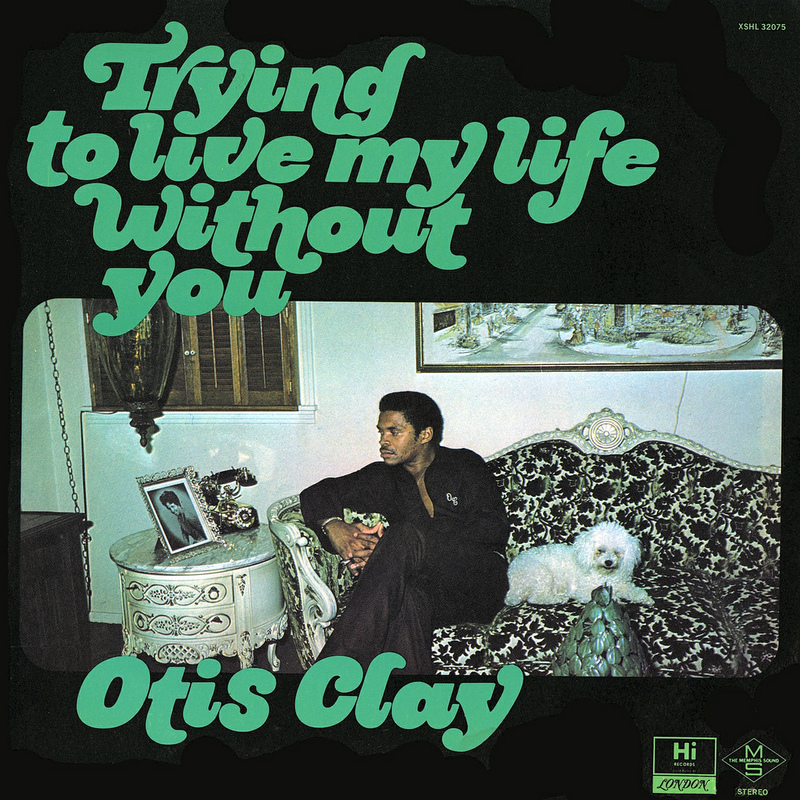 Taken from what turned out to be Clay’s last album release, this song is a fitting ending to the Otis Clay story. It was gospel that took Clay into the music business, and it’s a gospel-blues infused song that Clay ended it on. Price and Clay’s voices mesh perfectly, each compliments each other, neither one seeks to out-sing the other. It’s a poignant song, all the more today in an Otis Clay-less world.